A woman, named Farkhanda, was beaten with sticks and stones later on set on fire for burning the Quran near mosque in Kabul, capital of Afghanistan. An Afghani news agency quoted the parents of the woman as saying that she had been suffering from a mental illness for 16 years and that she had not "intentionally" burnt the Quran. Video of the assault taken with cellphones has circulated widely since the attack on Thursday. The killing has shocked many Afghans and led to renewed calls for justice and reform. Many rights activists, however, said the killing cut to the core of how women are treated as second-class citizens in Afghan society. 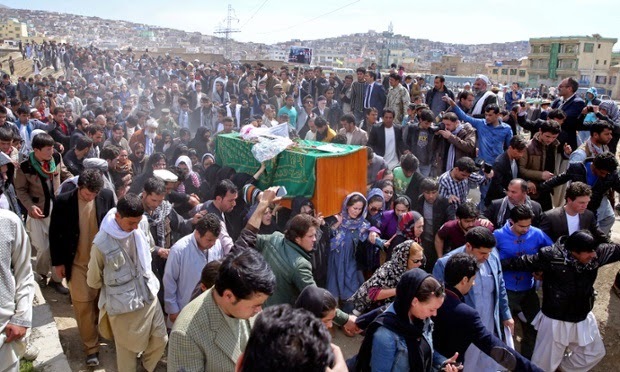 Hundreds of people gathered at a graveyard Sunday in the middle-class suburb near Farkhunda's home. 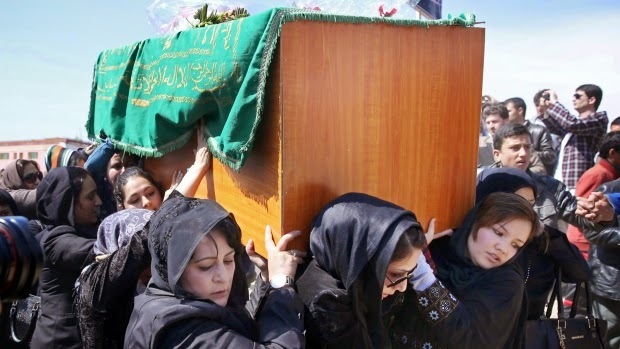 With the permission of her father, the women in black carried her coffin from an ambulance to an open-air prayer ground, and then to her grave, rituals that are usually attended only by men. 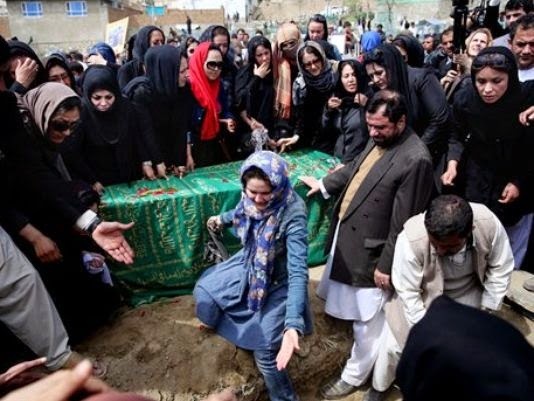 "She is a sister to you all, and it is your duty to bury her," Farkhunda's brother Najibullah, standing graveside, told the crowd. This was considered the most eye popping moment when we saw women carrying her funeral and captured media’s attention worldwide. The human rights activists say that Afghan women are deprived but they are living a miserable life. According to reports four men were nabbed but police say investigation is under process. 27 years old Farkhunda lost her life for being mentally ill but if we people around so many Farkhunda and Naeem will not open our eyes and minds, the day is not far our bodies will also by lynched and thrown into rivers for any misunderstanding.